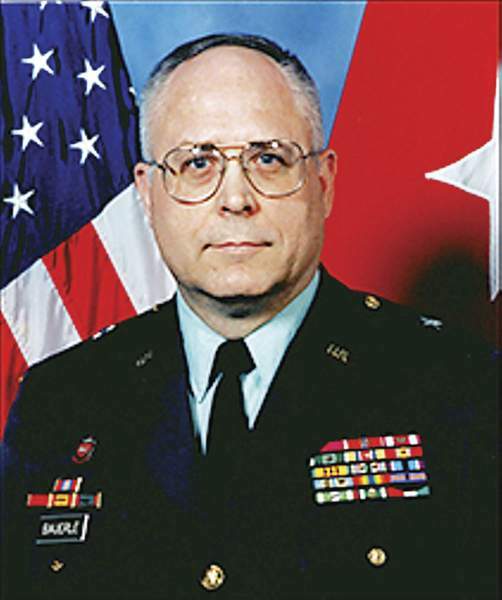 Retired Army Brigadier Gen. James Bauerle is vice chairman and legislative chairman of the Military Veterans Coalition of Indiana. There are some hard truths embedded in the history of asbestos: Exposure to the deadly mineral continues to claim thousands of lives a year, with military veterans in their 60s and older overrepresented among the victims. And there is a limited amount of money to pay for their injuries. Uncontrolled litigation and gaming the system are depleting the funds available for sick veterans. The Furthering Asbestos Claim Transparency Act is a much-needed reform to a system that currently favors unscrupulous lawyers at the expense of legitimate asbestos claimants. Veterans deserve the right to sue over their exposure to asbestos, which was ubiquitous in Navy ships and military installations until the 1970s. But recovery options are limited, and plaintiffs' lawyers have driven virtually all the big asbestos manufacturers into bankruptcy. This leaves a dwindling number of companies and asbestos bankruptcy trusts with a limited pool of assets to pay future claims. These trusts are typically under the control of the plaintiffs' lawyers themselves – the equivalent of putting the foxes in charge of the henhouse. An audit of one of the biggest trusts found that 41 percent of claimants had no disease or a less severe condition than claimed. More recent investigations have uncovered evidence of widespread fraud. People only have one set of lungs and when they receive the tragic diagnosis of mesothelioma, the deadly cancer associated with asbestos exposure, they need all the help they can get. And by preventing the trusts from sharing information among themselves, with civil courts or with outside entities like Medicare and the Veterans Administration, lawyers can quietly multiply a single legitimate case into numerous fraudulent claims. Lawyers typically collect 30 percent or more of what their clients receive, and by manipulating claims to boost their fees they leave less money for future, equally deserving victims. The roughly 60 asbestos trusts outstanding currently hold more than $30 billion in assets, but they are being drained at a rapid pace. Lawyers have clustered their cases in jackpot districts to maximize recoveries at the expense of future claimants. The situation is particularly dire for veterans, who genuinely can claim to have been exposed to asbestos in multiple locations as they moved from ship to ship or from barracks to depot. I'm not suggesting they shouldn't be able to recover based on such varied work histories. But it is important for multiple claims to be disclosed and made available to a judge so everybody involved knows up front what a person has claimed and what they've been paid for so far. The FACT Act would address some of this gamesmanship by requiring the trusts to make quarterly reports with the bankruptcy court detailing claimants' names and their claims against the trust. It doesn't require them to disclose settlement amounts, and it doesn't require disclosure of sensitive information like Social Security numbers. Ohio passed its own version of FACT in 2013. Despite the claims of plaintiffs' lawyers, there has been no appreciable delay in the resolution of cases since the law went into effect. It's time to enact federal legislation to bring order and transparency to the entire asbestos bankruptcy system.